A leading digital trust in the north west of England is championing the use of telecare following a six-month trial of remote clinics. St Helens and Knowsley Teaching Hospitals NHS Trust has been running a proof-of-concept video assessment platform across its drains outreach and stroke review services since December 2017, following a £75k grant from the Innovation Agency. The platform, supplied by Cisco and communications firm Cinos, enables clinicians to assess patients recovering at home remotely via video, negating the need for them to travel to hospital. The system went live in March. Since then, the trust has seen did not attends (DNAs) drop from nearly a quarter to just 10% in its stroke service alone. “When you’re doing clinics in this way there isn’t really such thing as a DNA,” Drew Hill, the trust’s clinical lead for stroke services, told Digital Health News. The drains outreach and stroke review services are based at Whiston Hospital’s Regional Burns and Plastic Surgery Unit, which provides treatment for over four million people across the North West, North Wales and the Isle of Man. This equates to a significant number of travel miles for patients requiring specialist treatment, many of whom are – understandably – not up to the task. Yet many of these miles are avoidable, says Hill. “You realise how many journeys we make to and from hospital that aren’t entirely necessary when consultations can be delivered remotely via telemedicine. Rowan Pritchard Jones, consultant plastic surgeon and St Helens and Knowsley’s CCIO, described how six-hour round trips are not uncommon. 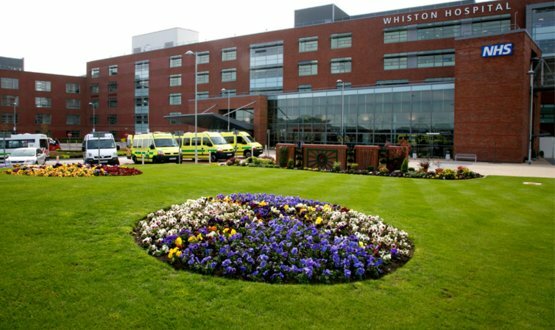 This put additional strain on Whiston Hospital’s already stretched resources, he said. “We’ve only got two drains nurses. To have those nurses doing six-hour round trips was mad. The ability to be able to keep those patients comfortable at home is fantastic”. As well as the predicted cost and logistical benefits, St Helens and Knowsley has gleaned additional, less expected insights into patient care through its use of telecare. “Sometimes the psychological effect of coming into hospital pushes blood pressure artificially high,” explains Pritchard Jones. “You’re far more likely to get a real representation of what their physiology is doing when they are sat in their own home. Richard Jones and his team claim that the video platform has, on the whole, been well-received. From an infrastructure standpoint, the system only requires a video-capable device at both the clinical and patient end, meaning no additional investment is needed. At the same time, patients have proved happy to receive care from the comfort of their home, and the technology has been adopted by clinicians with alopmb. That’s not to say that such drastic changes in working patterns doesn’t come with a teething problems period. “It’s not a like for like swap,” explains Hill. “You can’t just close a clinic and open a telemedicine clinic and ask everyone to continue business as usual. What we’ve discovered is that it changes things in very subtle and sometimes unexpected ways. 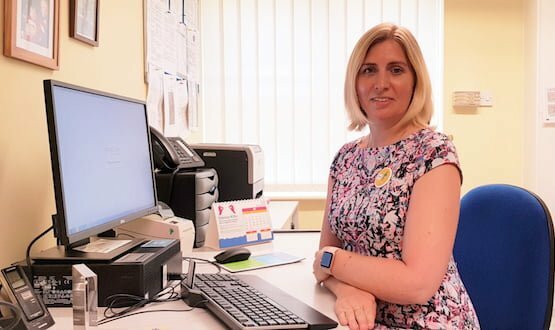 Looking further ahead, St Helen’s hopes to integrate the platform with its new patient administration system (PAS) so that any alterations to patients’ appointments are updated automatically in the system – again, a massive time-saver for staff. Yet the next stage of the trust’s telecare plans will focus on coordination of care for patients travelling into hospital. “One of the things we’d really like to have a good go at is early management of critically ill patients,” says Pritchard Jones. The aim is to be able to assess a patient virtually before they even reach hospital – with an early diagnosis making it easier to ensure the right treatment. “For stroke patients coming in, we want to be able to treat them early on. If we can see that patient early on, we can plan to get them straight into the CT scanner rather than bringing them into the emergency department. Another situation in which video pre-assessment could play a valuable role is serious trauma. “Trauma patients, particularly those with amputations, will travel for hours, sometimes by helicopter if there’s a chance of doing a replant [of the limb]. Some of those patients arrive and you very quickly can tell that it’s never going to work, because the zone of injury is so vast. The CCIO acknowledges that this will need “a lot of coordination and cooperation” with other care teams. “We’d love to see the ambulance services wanting to work closely with us,” he says.